I have watched some of his shows..
At first I was a skeptic. Now I am a convert.. this stuff works..
Born in Mexico, Cesar Millan had a pretty typical third-world upbringing, as far as I can tell. Except that he liked dogs a lot — something fairly rare in Mexico.?? In my experience, there is a culturally-based fear of dogs in many Latin American countries.?? This is usually because there are many stray dogs and dog packs running loose, both in the city and in the country, carrying disease and asocial behavior. From a young age, mothers will scoop up their children at the first sign of a stray dog pack and often run worriedly in the opposite direction. Cesar Millan is different from most of the other celebrity dog trainers:?? He’s good.?? Really good.?? Whereas many of the others are just adequate, Cesar Millan on the other hand has real skill. According to his press, Cesar Millan illegally crossed the border to come to America when he was 21 year-old and with only $100 in his pocket.?? After working for a dog groomer, as a limosine washer, and as a dog walker, Cesar Millan started picking up celebrity clients after moving to Los Angeles and advertising his dog training skills by word of mouth.?? Most notably with the help of actor and hip hop star Will Smith and wife actress Jada Pinkett. Which is another thing I like about Cesar Millan: He respects the dogs and works mostly by training the owners. Now I have been working on a dog training book..but it is a work in progress.. Here is an interesting little training tip..
How do I teach my dog the basic command ????? ?? ?œGive me a kiss????? This command is so easy that it is barely a command. If there is any trick to this trick it is to get him to kiss you when YOU want and not when his heart is bursting with love for you. Start out by praising your dog every time he licks you on the face and saying, “Give me a kiss. Good boy! (or girl). Give me a kiss.” This way the dog will associate the act with what you are saying. If the dog is just not the kissing type, which is rare, smearing a bit of peanut butter or something else tasty on your cheek or chin usually works.?? As the dog licks the treat off of your face, keep repeating “Give me a kiss.”?? After a short period of time the dog will start licking your face simply in hopes that a little more of that peanut butter. Soon all you will have to do his purse your lips and your dog will come running to give you a kiss. To keep up to date an all sorts of pet health, pet care and pet behavior news ..keep reading my newsletter. 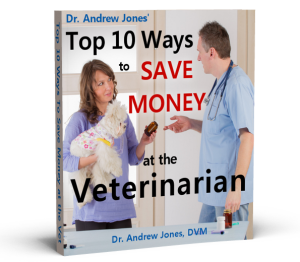 My best selling ebook Veterinary Secrets Revealed is going up in price in less that 3 weeks. I have had clients wonder why? The why is because I am trying to spend more time with my family at home working with my internet clients..You Guys.. I love being able to teach pet owners how to care for their pets at home, and I also want to be able to spend time with my family..